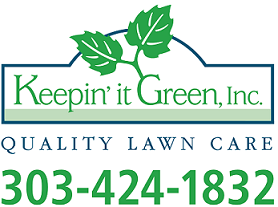 Don't Become a Lawn Care Horror Story - Keepin' It Green Inc. I have already heard two lawn care horror stories this year. Both were highly preventable, with the use of an actual, insured, honest, and knowledgeable lawn care professional instead of someone with a rake, and mower claiming to be a “professional”. I have even seen people driving around with a push mower stuffed into the trunk of a car claiming to be “lawn care professionals”. The first lawn care horror story of the year came last week when a lady called me for an estimate. We got talking and she mentioned she has hired 5 “professionals” in the last 5 years. Last years “professional” took the cake… not only did he mow the lawn during the drought when nothing was growing not even the weeds and charge for it, but he was billing her for lawn care services that obviously were not being performed all the way into January and February. This next one is really bad too. I got a call yesterday from a kind, senior citizen lady who had two lawn care “professionals” last year, which was the 1st year she had ever hired someone to take care of the lawn as she is no longer able to do so herself. Her first “professional” “dumped” her as she says because she paid him for the month of September, but he never showed up and his phone is disconnected. Her second lawn care “professional” sprayed weed killer along her sidewalks, driveway, around her shrubs, landscaping, and the beautiful maple tree in the front yard that is landscaped in beautiful red mulch (they sprayed the weed killer out about a foot from all these objects) killing off all the grass around them. The only reason to do this is because the “professional” is to lazy to use or doesn’t even own a weed whip. Not only did this “professional” do this but it was very obvious to me that she did not sharpen her blades regularly (or maybe she never sharpened them) as the lawn was not cut evenly, and there were even long lines of grass that had not even been cut because this “professional” missed them when they were “cutting” the lawn. Sharp blades are very important to the proper maintenance of a lawn because not only do they give you a beautiful even cut, but they actually cut the grass instead of tearing and ripping the lawn like dull blades will do. Don’t become a lawn care horror story, hire a true professional not just someone claiming to be a pro because they have a lawn mower, and charge people to cut their grass.